Old School Hack » Blog Archive » Playtest Docs have been Updated! Playtest Docs have been Updated! While we’re pretty close to having the final copy of the game done, I figured the old GenCon Playtest documents have gotten fairly obsolete. I’ve now updated them to the most current ruleset and they present a much more comprehensive picture of the game. If you’ve been following this blog, definitely re-download the Playtest and look it over! Thanks. If you’re interested in running the game, there’s loads of information in our forums now on good practices that’ll fill in a lot of the gaps. Anyway, just an announcement. I’m planning a big post pretty soon on building an Old School Hack encounter, so stay tuned! 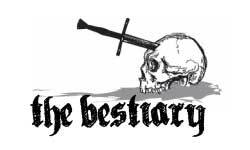 Check out the OSH Bestiary! Dino-Pirates of Ninja Island creator Corey Reid has started up a repository for all your bad guy and monster needs! News from Around the Net: 29-JUL-2011 | Gamerati on Playing Old School Hack at GenCon? Tim Bannock on Who’s doing this?